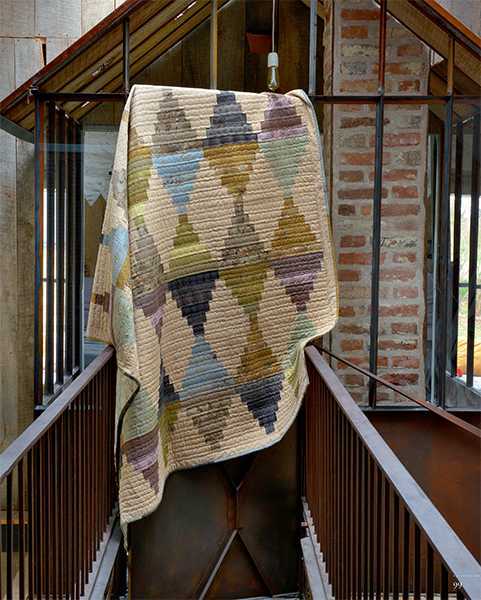 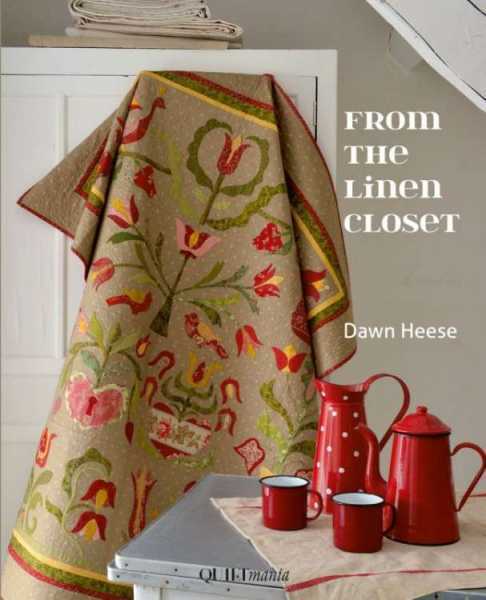 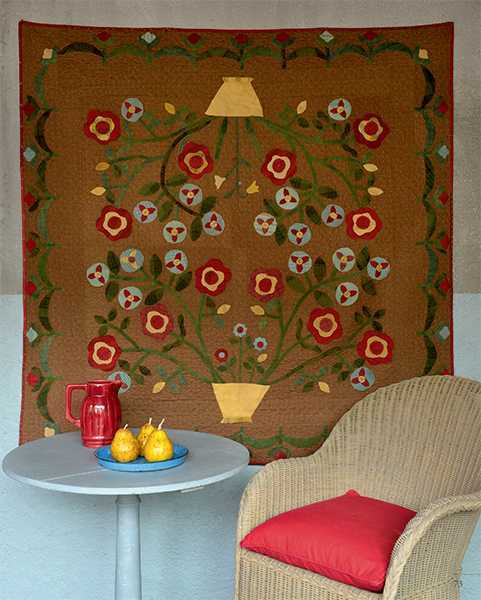 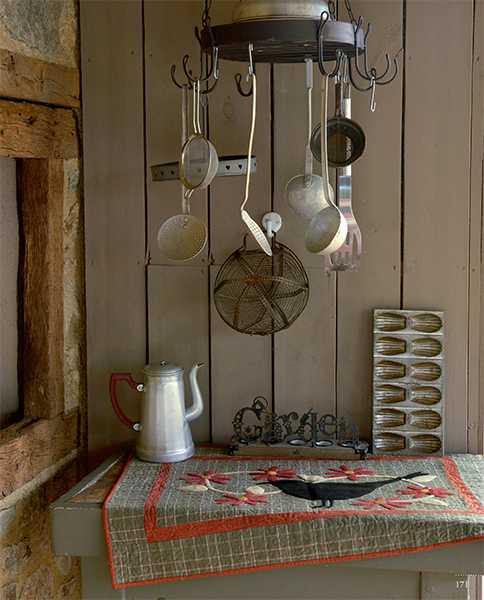 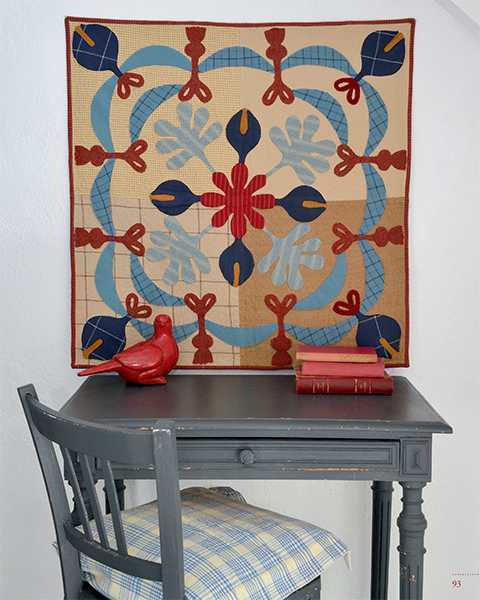 In this book Dawn Heese offers us a soothing return to the past through 17 charming folk art-style quilts and small projects. 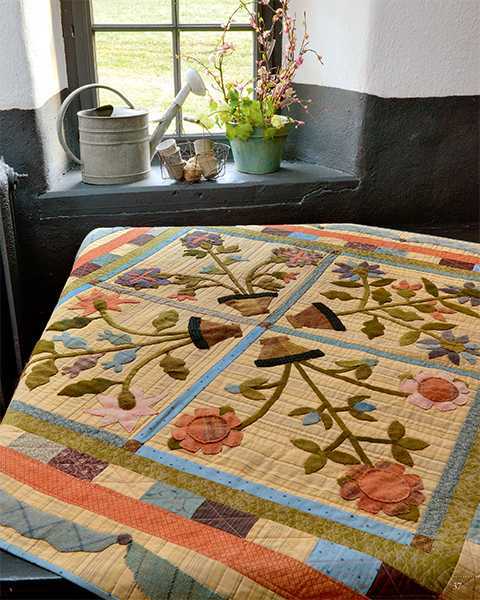 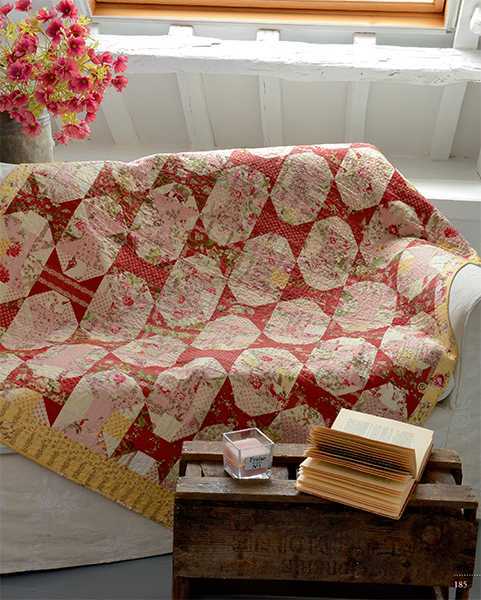 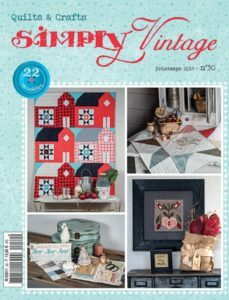 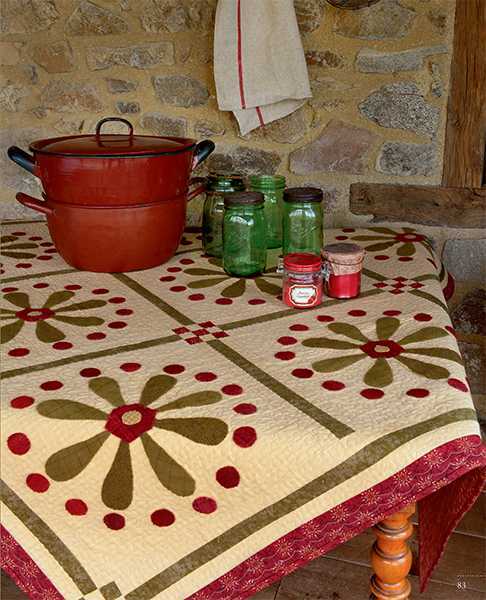 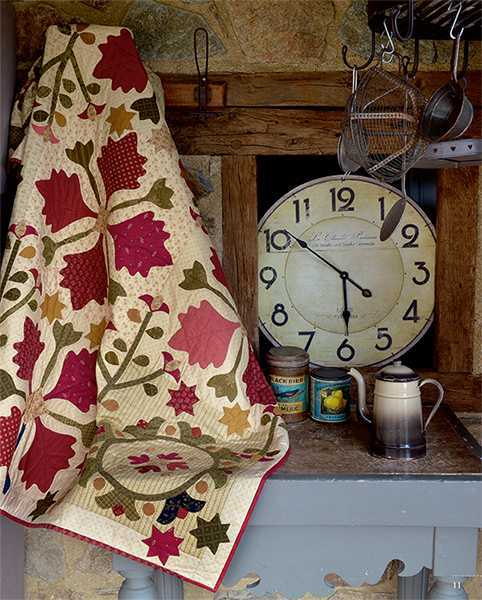 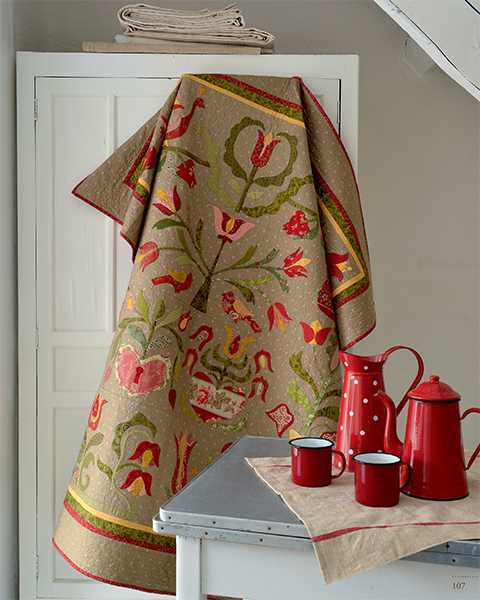 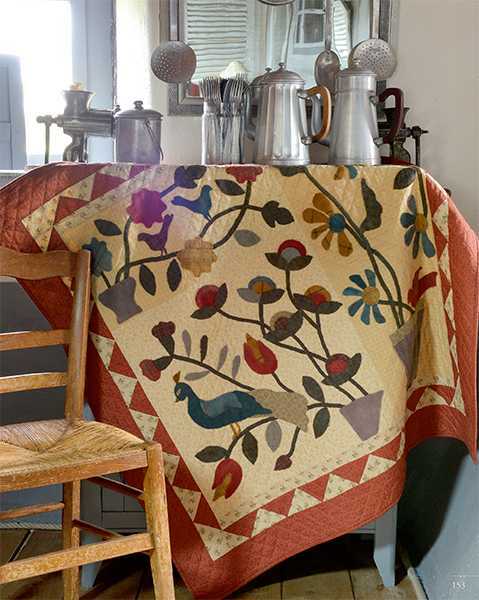 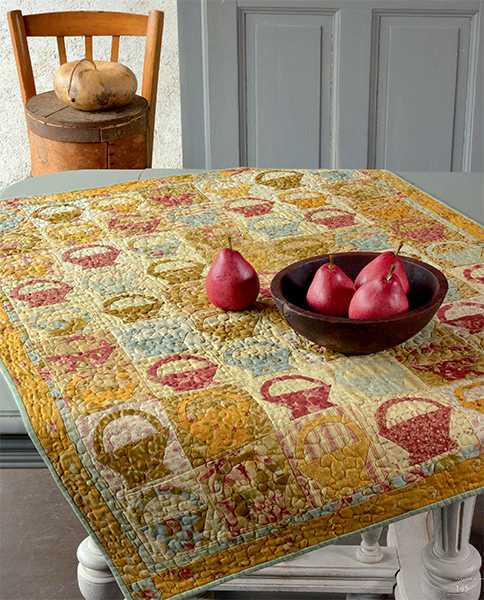 A gentle and warm ambiance and easy appliqué; one imagines oneself in a country home, a bunch of wildflowers on the table and a welcoming chair where it’s good to settle in and quilt. 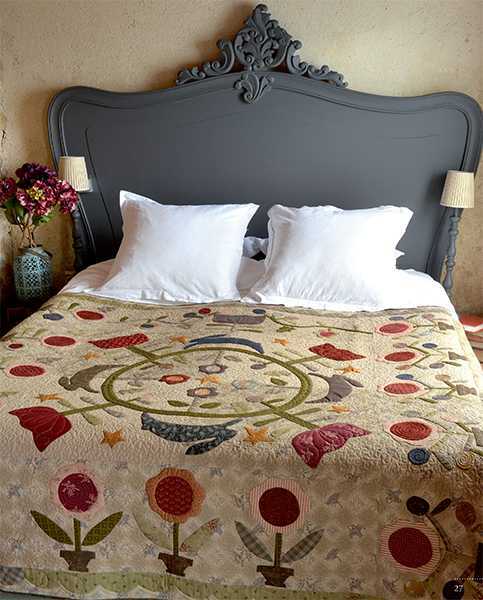 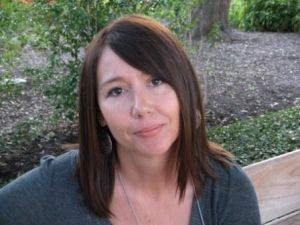 Dawn Heese is from a family of seamstresses and quilters. 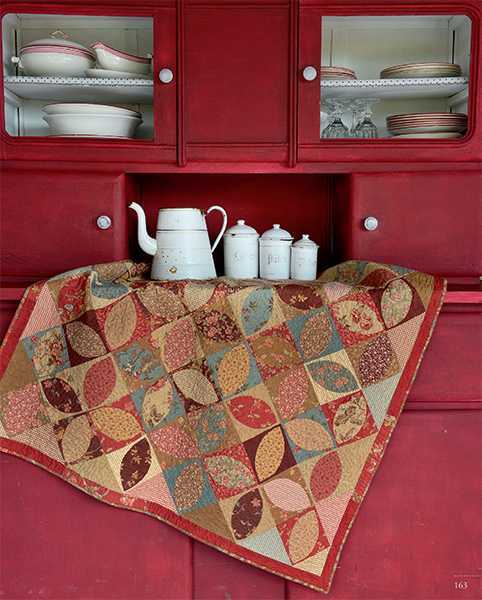 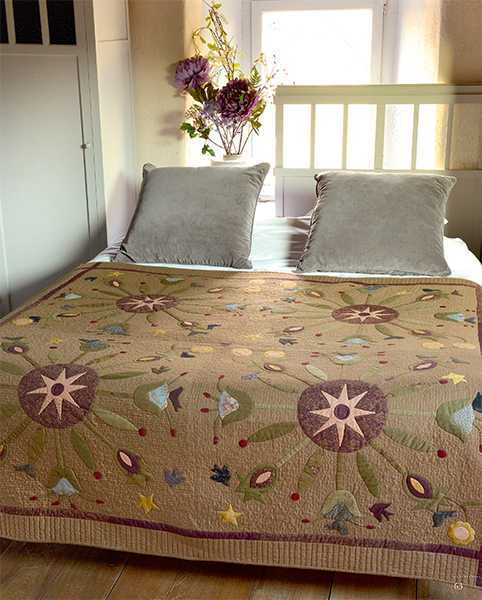 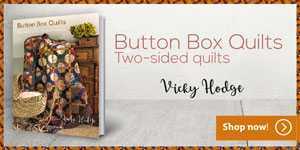 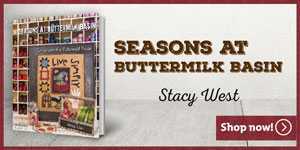 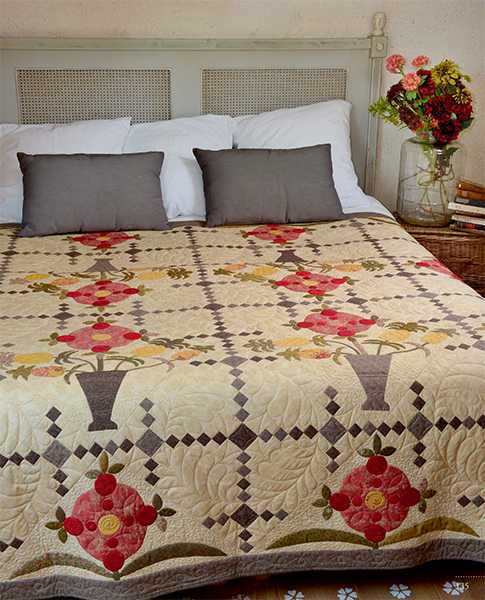 Her grand-mother kept all of her great grand-mother’s quilt tops stored in the linen closet. 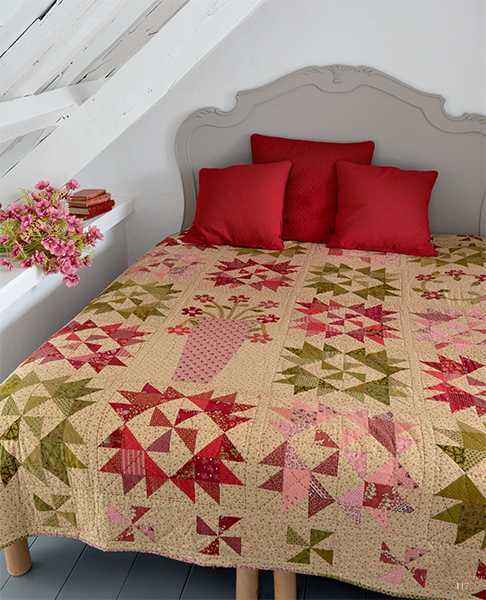 Growing up in this creative and warm environment, it is only natural that Dawn continued the tradition. 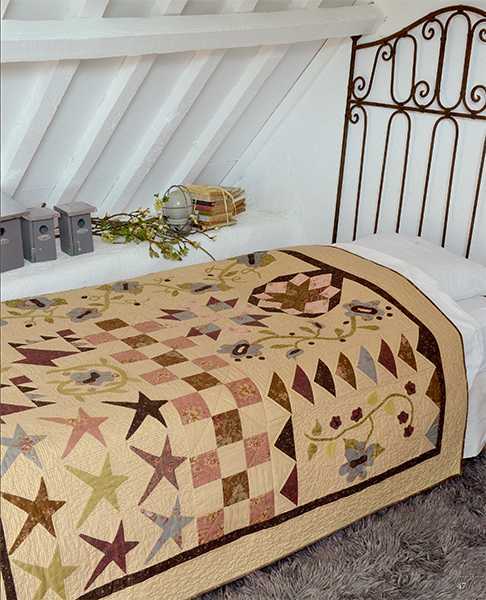 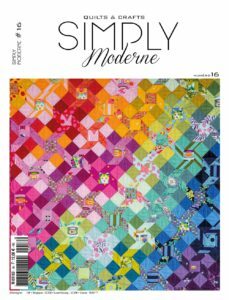 She has been making quilts since 1999, all of which are inspired by her happy childhood memories growing up surrounded by quilts. 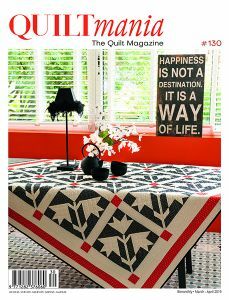 Regarding the appliquéd Vase block for the quilt “Britton”, found on pages 119 and 120, the correct measurements are 18” x 35”.